On Saturday, Milo Yiannopoulos was invited to the Conservative Political Action Conference as a keynote speaker. By Monday he was disinvited. The source went on to say that some on the board plan to issue a press release next week “distancing” themselves from Yiannopoulos’s selection. They didn’t need to, because plenty of other conservatives were on the case. A conservative blog called The Reagan Battalion tweeted out a video on Sunday of Yiannopoulos talking about, well, I guess how teenage boys are responsible for their own molestation. He complains about the “arbitrary and oppressive idea of consent”and calls boys who sleep with their female teachers the “predators” in the situation. In the homosexual world particularly, some of those relationships between younger boys and older men the sort of coming of age relationships relationships in which those older men have helped those young boys to discover who they are and give them security and safety and provide them with love and a reliable — and sort of a rock where they can’t speak to their parents. 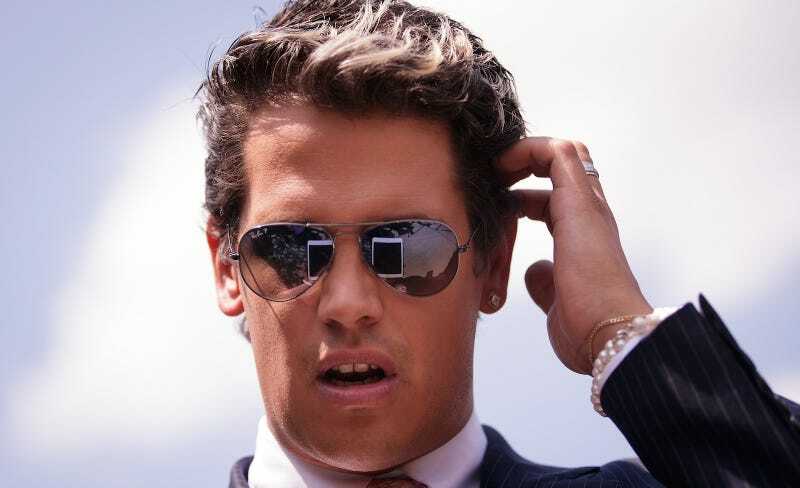 Due to the revelation of an offensive video in the past 24 hours condoning pedophilia the American Conservative Union has decided to rescind the invitation of Milo Yiannopoulos to speak at the Conservative Political Action Conference. We continue to believe that CPAC is a constructive forum for controversies and disagreements among conservatives, however there is no disagreement among our attendees on the evils of sexual abuse of children.